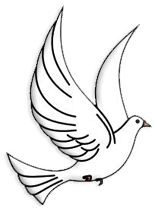 Vonna D. Larson, 83, of St. Paul entered into rest on Sunday, December 2, 2018 at Brookefield Park in St. Paul. Funeral services will be held at 10:30 a.m., Monday, December 17, 2018 at Trinity Lutheran Church in Wolbach. Reverend Glenda Pearson will officiate. Interment will be in Hillside Cemetery in Wolbach. Visitation will be on Sunday, December 16, 2018 from 4:00 – 6:00 p.m. at Jacobsen-Greenway Funeral Home in St. Paul. Memorials are suggested to the donor’s choice. Vonna, the daughter of Forrest and Lucille (Kemper) Ludington, was born January 10, 1935 in Cushing. She grew up in rural Greeley County and graduated from Wolbach High School at the age of 16. She then taught at a rural school before moving to Grand Island and working as a dental assistant. She met Donald Larson as a young child and they were married April 24, 1953 during a three day leave Donald had from the Army. They spent their first year of marriage in Kentucky. Once Don was discharged from the Army, they returned to Nebraska to farm, where their first son David was born. After two years of drought, they traveled to Wyoming and New Mexico where their daughter, Dianne was born. The couple returned to Nebraska to farm near Palmer and three more children were born, Teresa, Don and Dan. They lived there until forced to move to St. Paul in 1992 due to Don’s ill health. She later moved to Riverside Lodge in Grand Island. Once her youngest child started school, Vonna decided she needed a hobby, so she took an art class. She painted for many years and sold many paintings. In the 1970’s, she had a ceramic studio with Peggy Nealon and later moved it to her home. Vonna was also a talented seamstress and was the sewing leader for the local 4-H club while raising her children. She then took up quilting and later began making Santas. She was amazingly talented. 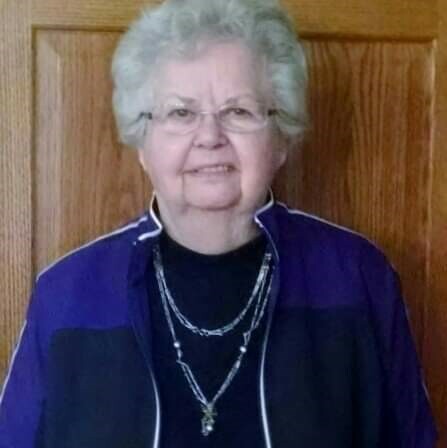 Vonna was a longtime member of Trinity Lutheran Church in Wolbach, Town and Country Extension Club, Spring Creek Saddle Club, Wolbach Saddle Club, a local quilting group, and the hospital auxiliary in St. Paul. She also served on the Howard County Medical Center Foundation Board. Survivors include her five children and spouses, Dave and Cathy Larson and Dianne and Bill Score, all of Grand Island, Teresa and Ray Lorang of York, Don Larson of Springfield, MO and Dan and Barb Larson of Palmer; fifteen grandchildren; seventeen great-grandchildren; and a sister, Carron Evans of Loveland, CO.
She is preceded in death by her parents; husband, Don; infant son; granddaughter, Katelyn Larson; and two brothers, Dean and Dale Ludington.